Laid to rest in the Kremlin: Why was U.S. hack John Reed buried in Moscow? "Here is a book which I should like to see published in millions of copies and translated into all languages" - V. Lenin about John Reed's book. How did the son of a wealthy American entrepreneur and Harvard graduate become an ardent supporter of the proletarian revolution in Russia? 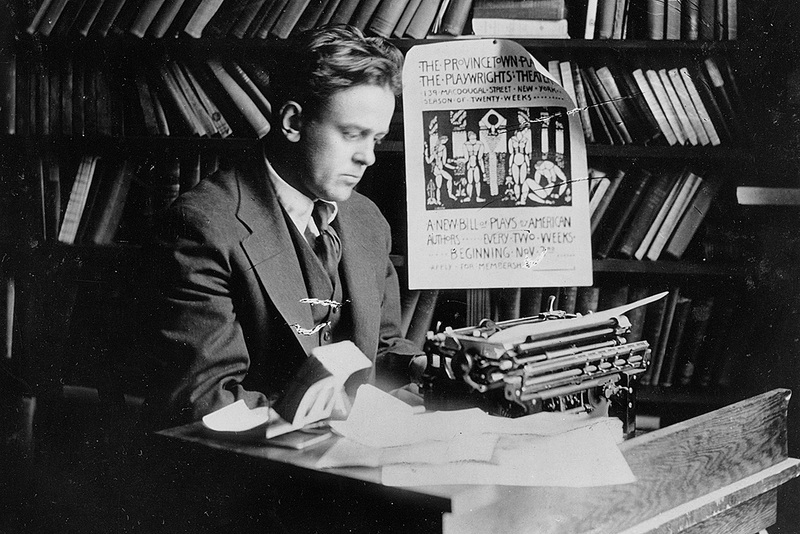 The life of American journalist John Reed (1887 - 1920) was so extraordinary that he inspired film directors on both sides of the Atlantic during the Cold War. Warren Beatty's 1981 movie about Reed - Reds - won three Oscars. In the USSR, director Sergey Bondarchuk made a two part epic, Red Bells (1982), that was also based on Reed’s life. So why has the late hack’s life fueled so much interest? Reed was raised in an upper-class environment in the Pacific Northwest during the turn of the 20th century. He graduated from Harvard and showed interest in social issues, attending socialist club meetings. Three years after completing his studies he landed a job with the New York-based leftist magazine The Masses, which published articles by prominent radicals of the time. As a determined champion of social justice, Reed covered strikes by silk mill workers in New Jersey and coal miners in Colorado. He was then sent to report on the Mexican revolution (1910 - 1920). He was appalled by the exploitation of laborers and Washington’s policy towards Mexico. "The United States Government is really headed toward the policy of ‘civilizing 'em with a Krag’ [a rifle used by American troops] - a process which consists in forcing upon alien races with alien temperaments our own Grand Democratic Institutions: I refer to Trust Government, Unemployment, and Wage Slavery," Reed wrote. His series on Mexico, later published as a book titled Insurgent Mexico, enforced Reed's reputation as a war correspondent. When World War I broke out in Europe Reed traveled to the Continent on two occasions, resulting in his second book - The War in Eastern Europe. However, his most famous work - Ten Days That Shook The World - was not about war, but rebellion. It was published in 1919 and described the events of the Russian revolution. Reed visited Russia in August 1917 and witnessed how the Bolsheviks seized power. He welcomed the uprising and was an enthusiastic supporter of the new socialist regime. "So, with the crash of artillery, in the dark, with hatred, and fear, and reckless daring, new Russia was being born," he wrote. He met the two main leaders of the Bolshevik uprising in person, Vladimir Lenin and Leon Trotsky, and was a big fan of the Bolshevik party. "Instead of being a destructive force, it seems to me that the Bolsheviki were the only party in Russia with a constructive program and the power to impose it on the country," Reed wrote in Ten Days That Shook The World. It’s little wonder the book was well received by Lenin. "Here is a book which I should like to see published in millions of copies and translated into all languages. It gives a truthful and most vivid exposition of the events so significant to the comprehension of what really is the Proletarian Revolution and the Dictatorship of the Proletariat," the Bolshevik leader wrote in the introduction of the 1922 edition. The book was also widely praised by the public - even American diplomat George F. Kennan, who had no sympathy towards the Soviets - gave it a positive review: "Reed’s account of the events of that time rises above every other contemporary record for its literary power, its penetration, its command of detail." Reed died in 1920 in Moscow after contracting spotted typhus at the tender age of 32. He was given a state funeral and buried at the Kremlin Wall Necropolis. Remembered for both his brilliant writing and political activism, Reed was also instrumental in establishing the Communist Labor Party of America and took part in the Comintern congress in Moscow shortly before his death, an event advocating world communism. It’s no wonder he’s inspired film directors and writers - and he’ll forever be praised as a bastion of social justice and journalistic integrity. He truly was a man of the people.